This is weekly Update #28 this time with the new Zuki’s Quest update and some more Card Crawl news. It’s been almost a year since we released our turn based Puzzle Platformer Zuki’s Quest. Zuki’s Quest has been our most downloaded title with over 100.000 downloads and also the worst one in terms of sales as described here: Why the monetization in Zuki’s Quest has failed. With the introduction of the new iPhones we decided to take the opportunity to port Zuki’s Quest over from Stencyl to Unity and finally bring the game to all iOS devices including the iPad and the new iPhone 6. Besides the obvious graphical enhancements we also changed some of the core design. The original Puzzle Design evolves around collecting 3 idols per level with the least amount of moves possible. If the player runs out of moves he has to start the level again. There are three ratings: bronze, silver and gold depending on how few moves the player has made to solve the puzzle. One of the weakest points in the design of the puzzle is that the game uses the 3 stars metaphor, but the actual act of collecting the idols is detached from the standard „collect 3 stars to gain the best rating“ idea. The core gameplay of Zuki’s Quest is based on finding the optimal solution, once this solution has been found the levels don’t offer any replay value. In the new version we want to address this problem by removing the „3 stars“ rating completely. Instead we just track the highscore for the amount of moves the player has taken to complete 1) a level and 2) for the whole temple. Once the player completes a temple the sum of all moves will be submitted as a highscore to Game-Center where you can compare your solution to the ones others have found. This way you won’t be able to tell if you have found the optimal solution for a level and each level will offer you at least some replay value based on the complexity of the level it self. Additionally we cut the move limit, making the game way more generous in terms of how fast/slow you are with finding the initial solution for a level. We did not introduced any new levels for now, but we fixed some of the levels to have a more open solution bandwidth. The new update is already submitted and we will post once the new version will be available. 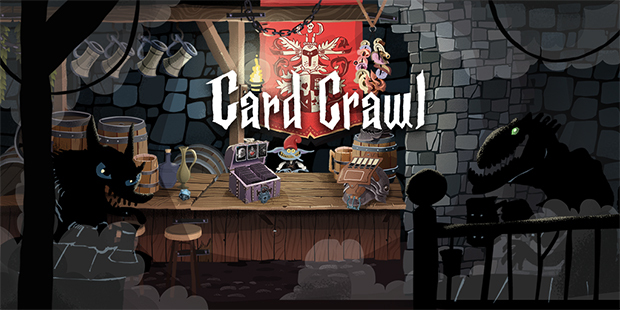 Besides the Zuki’s Quest update we worked bit on Card Crawl. 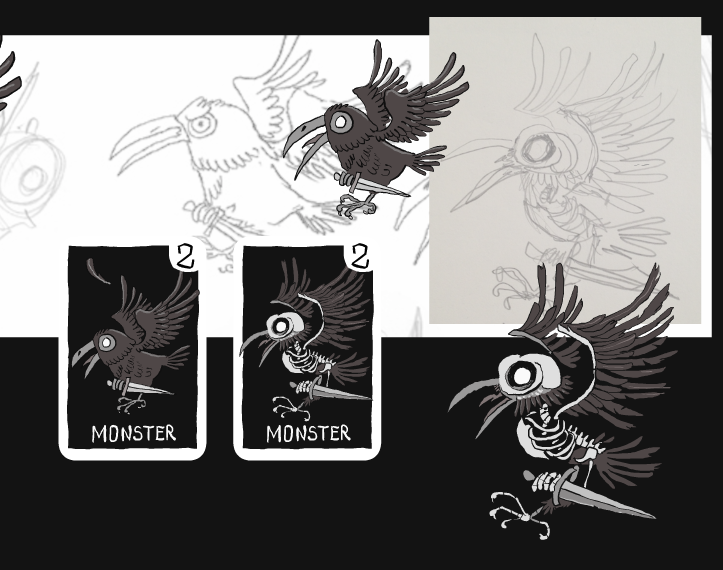 Mexer has been busy adding more card illustrations. In general we try to create a first basic playable version until the end of the month. 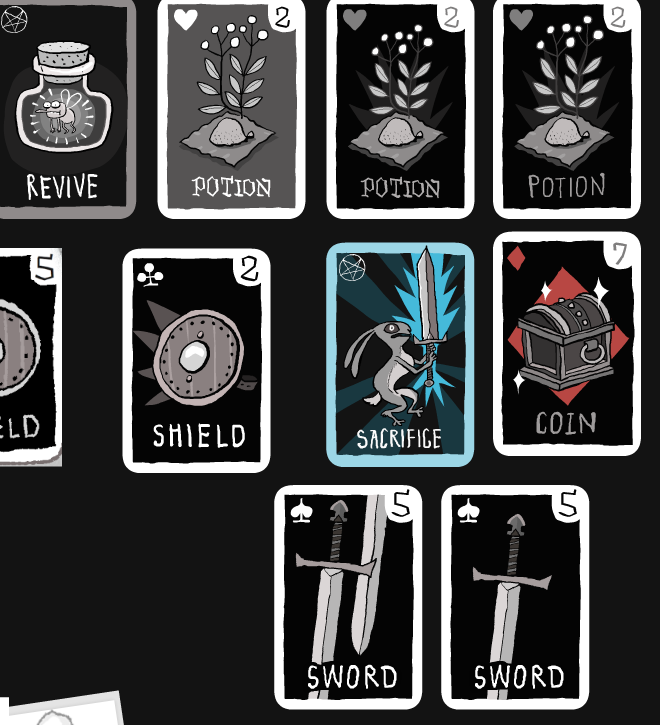 We also keep the Card Crawl Tumblr up to date. Thats it for this week, have a nice sunday!